One of the many endearing qualities of Borderlands is the diverse plethora of inhabitants on Pandora and its moon: everything from the dog-like skags to the aptly (albeit it literally) named spiderants. Of all the different species, I would argue that the Guardians are among the most intriguing. This is partly due to their overall mystery, partly due to the amazing technology, relics, and creatures that they guard, and partly due to the stunning role that AI plays in their existence. First, let us briefly discuss what is means to be intelligent versus what it means to be sentient. These are somewhat similar terms but there seems to be a distinct difference between the two. The difference between intelligence and sentience can be generally described as being able to assess reality objectively versus subjectively. Intelligence implies that you are able to react to the circumstances and situations around you in a logical, rational way (such as jumping out of the way of a moving car). Sentience, however, is more of being able to feel panic while and after jumping out of the way. It’s relatively easy to gauge intelligence in a machine – you could definitely make a robot that jumps to the side when it detects an object coming at it. It is much harder to gauge sentience. How can we tell whether or not a robot who seems to outwardly emulate joy is truly experiencing joy in a subjective way? Given that AI and Machine Learning are still rapidly evolving fields, the answer to this is very unclear at this point in time because we just haven’t gotten AI to be that advanced yet. In a universe like Borderlands however, it is clearly stated that some of the mechanical or bio-mechanical constructs DO have sentience – we are instructed to respect their lives in some cases and mourn them in others. The big question there is of course a matter of what changed; what do these AIs have that makes them sentient, what is this unknown quality that none of our AI currently possesses and in fact almost seems like they never could? In the future we may be able to discover this quality and use it to give our creations sentience, but it appears that some of the races in the Borderlands universe already have – the most compelling evidence of this being the guardians. Now, when you fight the Guardians, they certainly seem alive. They move quickly and appear to use somewhat advanced tactics such as flanking the Vault Hunters (the main heroes of the games). Furthermore, they are placed in strategic locations and fight as if they have a purpose. Considering we know they are just bio-mechanical constructs, this is truly impressive. Guardians sit at the top of what I would call the “Artificial Intelligence Hierarchy” of Pandora. 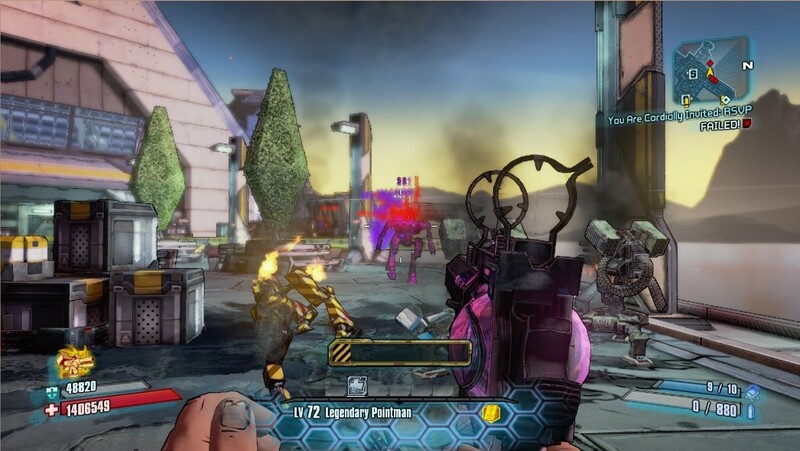 Artificial Intelligence plays a very strong role in the Borderlands Universe, featuring a large variety of Intelligence levels. Amongst the bottom we have constructs like the Atlas Drones encountered around T-Bone Junction, which have the singular purpose of destroying you while explaining why that destruction is your own fault – certainly a much simpler “mindset” than the tactics and hierarchical nature of the Guardians. Above that we have the loaders, robots that were originally intended for construction purposes, but were modified by Handsome Jack to become weapons of war. Although they are a bit smarter than the Drones, able to employ basic combat tactics like “get behind the shield the Ion Loader created”, they are most assuredly not sentient in the general case. For one, when Jack turns Felicity into a constructor, he specifically says to wipe anything that wouldn’t be useful in a fight – thereby erasing her sentience (Felicity was a sentient weapons AI that used to run a war ship called the Drakensburg and then joined Hyperion only to be destroyed shortly after, but that’s a topic for another time). Since constructors are what manufacture the majority of loaders, we can derive that the loaders do not have sentience either (even if a non-sentient entity could create sentience, Jack surely would have had this capability erased as well). Furthermore, the speakers in one of the areas where the loaders work specifically state “Under no circumstances are Hyperion robots to a) approach the local threshers or b) gain self-awareness”, which reinforces that the loaders are much lower than the Guardians in terms of sentience and overall intelligence. There are a few exceptions to this rule of course. Mal is a malfunctioning loader who wants desperately to be a human. Loader #1340 is an exp-loader (a type of exploding combat loader) who shows intelligence and possibly sentience by asking tasks of the vault-hunters. In the general case however, the vast majority of loaders are not sentient. Next on the list are the CL4P-TP bots. These bots certainly seem a bit more alive, with each having a smart-aleck and eccentric personality (as opposed to the loaders, which all behave the same as every other loader of their type). Claptrap, the most famous CL4P-TP bot, also shows perhaps the most intelligence (well, for some definition of intelligence…) and possibly sentience. In the DLC to The Pre-Sequel, we find that Claptrap has most of the inner workings of a human mind, or at least a digital representation of them, including a conscious, subconscious, ego, superego, and id among others. That being said, in the general case CL4P-TP bots show some intelligence, but no sentience – whereas each guardian appears to show sentience. This squarely places Guardians as the most advanced group of AIs in the known Borderlands universe. We know the Guardians are sentient because we are told so. However, if you are like me, then you didn’t need the game to tell you. I spent the entire first Borderlands game believing the Guardians were real, living Eridians. Nothing about them gave me a clue that they may just be a very sophisticated AI in a robotic shell. If I placed myself as a character in the game’s universe, and looked at the Guardians within that context, I truly believe that I would consider them biological beings instead of bio-mechanical beings. They don’t really talk, but that just seems like a side-effect of their pure aggression (besides, some of the human enemies such as psychos can barely talk anyway). They look odd, but so do skags, spiderants, crystallisks, and most of the Pandoran Fauna. There are individual robots that could arguably be more sentient (such as Mal, Claptrap, or Felicity), but no other general “species” of robot that exhibits intelligence and sentience the way that the Guardians do. This leads to a rather interesting question – if the Guardians were sentient machines the entire time and we had no idea until the game revealed it to us, who else may actually be a sentient machine? Is it possible that any other prominent characters, such as the very mysterious Tannis, could be sentient machines as well? We will just have to wait and see what is revealed in Borderlands 3. Dr. Brandon Packard is an assistant professor at Clarion University. His research interests are video games, AI, and machine learning, and the ethical questions thereof. In his spare time, he enjoys playing video games and working on programming projects, and has over 1,000 hours logged in the Borderlands series. Loe, C., and Walsh, D. 2009. Borderlands. BradyGames. Thompson, K. 2011. Arch Guardian. http://web.archive.org/web/20110427122252/http://www.keiththompsonart.com/pages/archguardian.html. Accessed: 2019-01-22.